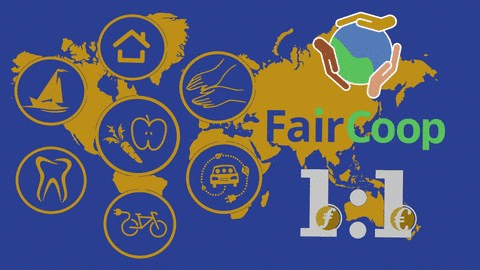 What can we do with our FairCoin? FairCoin is increasingly making progress, integrating itself into the real economy and creating practical benefits. It is not just numbers on a screen, it is a tool for bringing together producers of high quality bio and organic products, artists and other creatives, internet service providers, and the self-employed who are looking to participate in our online digital market and also to integrate themselves into the financial future with Bank of the Commons, an online banking service providing practical tools for people to transition out of the neoliberal economic system, into a more fair and stateless economic future. With our FairCoin we can, in fact, beat the system. To browse through our directories of products and services is to open up a growing economic space that is rapidly gaining ground from capitalist monoculture. Competition and exploitation of people and natural resources is giving way to cooperation and care for the common good. If you have FairCoin, you can purchase different products and services online at our FairMarket or go through the physical shops that accept FairCoin as a means of payment in many countries around the world, visiting our Use-Faircoin (link is external) directory. To give just a few specific examples, with FairCoin you can rent an electric car in Greece, where you can also get a haircut or hire interior design services. You can buy an electric bike in Barcelona, stay in a rural area in Tarragona or take a tour on an ecological sailboat on the Costa Daurada (all of them in Catalonia). Also go to the dentist in A Coruña (Spain) and receive an Abhyanga body massage in Murcia (Spain) or a relaxing one in central London. If you are an artist or art lover, with your FairCoin you can pay for your accomodation at the Performing Arts Forum, situated in an old convent in St. Erme (France), or buy an original artwork made by Leonardo da Banksy in Gibraltar. Renting a small apartment in Liechtenstein, staying at a B'n'B in Romania, or in the Sierra de Teruel (Spain) are other examples of what this new economy can offer after three years of constant growth. We hope that, in not such a long time, we can finally become independent of the fiat currency system, which we do not control and which only serves to oppress, divide, and weaken us as a community. FairCoin, on the other hand, shows how, if we stay united, we can finally stand up to the the system that was imposed on us centuries ago. They wanted us to believe that they were invincible, but we know clearly that their strength ultimately derived from us and that, if we take back the power, we can set ourselves free. That is what, after three years of hard work, we can do with our FairCoin. And this is just the beginning. To celebrate FairCoop’s achievement in FairCoin reaching parity at 1:1 with the Euro, FairMarket has launched a discount offer for the first time. We call on our merchants to support and join this 20% discount so we can give back to the ecosystem, and to all those who participate in the fair economy, a part of what we all together achieved by steadily growing the price during these last 6 months. For starters, it’s an opportunity to try out and use FairCoin for purchasing, but mainly it’s evidence of the cooperation and solidarity throughout our ecosystem and all the people involved. A sign of the alternative and fair economy we are building.